To celebrate Trustee's Week from 7 - 13 November 2016, check out our range of services, free tips and products that are designed specifically with trustees in mind. “It is crucial that charity trustees meet their obligations to oversee fundraising”. It has never been more essential that a charity’s board understands their role when it comes to effective and responsible fundraising within their charity. Half day course, just £85. Find out more here. Need help with financial governance of your charity? 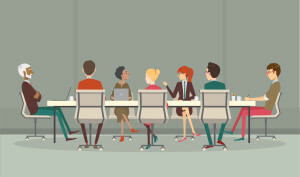 This half day seminar is aimed at existing or potential Trustees or anyone who has a governance role as well as senior managers within charities. Book now for only £85. Good leadership is as much about attitude as it is about what you say and do. This practical course takes you through the mindset you need to lead a team, helping you to create your own distinctive leadership style that empowers and inspires the people you work with. Book now for 14 December. This guide is ideal for anyone thinking of becoming a charity trustee, or who is new to the role. You’ll learn about your basic responsibilities, how to be more effective and how to bring your own skills to the trustee board to improve the charity’s impact. Get your copy now for only £14.95. 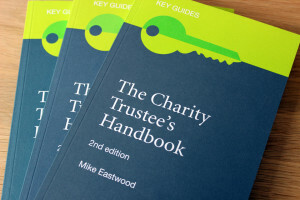 View our range of charity trustee publications here now. Terry the Terrible and Beryl the Brilliant – Not heard of these two before? Ten things terrible trustees do and brilliant ones don’t. Trustee self-assessment exercise – Trustees are encouraged to regularly assess their performance as a board. This tool will help. For further information on all our governance services and products, please click here now. It’s Trustees’ Week, so we thought we’d ask you to fill in a little survey. We want to know what it’s like being a trustee in 2016, what you need and how we can help you more. It won’t take but five minutes, and you could be in with the chance of winning one set of our Trustee Week Book Bundle worth around £60 (Charity Trustees Handbook, Delivering Effective Governance and Business & Strategic Planning). Click here now to complete the survey. More commentary, more sources and more analysis than any other resource.